Copyright © 2019-01-19, by Liz Bennefeld. 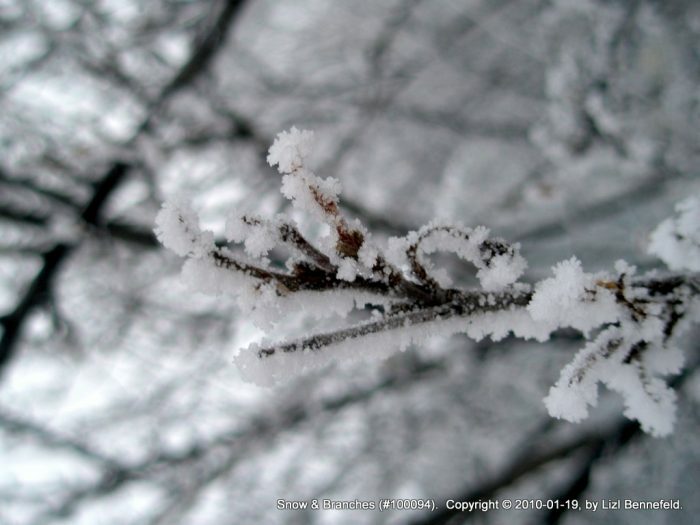 Frosty Branches [photo]. Copyright © 2010-01-19, Liz Bennefeld, photographer.